Okay, this may sound like a whopping cliché, but Your Lie in April is one of those anime that will appeal to a lot of different people in a lot of different ways. 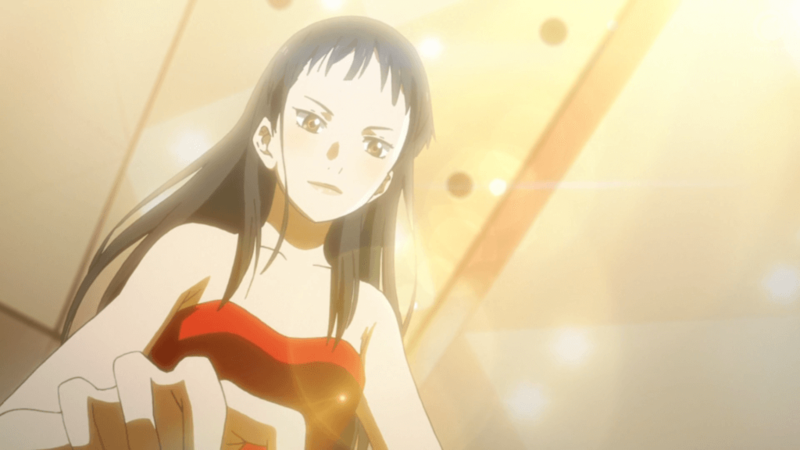 The anime takes its audience on a journey of love, life, and music. It is a brilliant work of art that portrays the lives of its characters realistically and, at the risk of sounding a little gushy, quite beautifully. Vibrant enough to catch and hold the attention of anime fans from start to finish, this high-quality production combines moving music, sharp cinematography, and an overall great storyline that takes viewers into the lives of a girl and a boy who have to learn to fight for each other, and for what they love. After the loss of his mother, Kousei Arima, a young pianist has a breakdown that leads to his inability to hear his own music. After years of mourning and suffering, he meets a young violin player – Kaori – who is free-spirited and a true lover of music. Kaori takes it upon herself to help Kousei regain his love for performing music, and as a result, they find love within one another. To tell you the truth, the story of Your Lie in April is not all that inventive or original. However, the series truly shines in its ability to capture and realize its core themes. Love, both of the romantic and maternal sort, is a recurring motivator for the characters throughout the story. 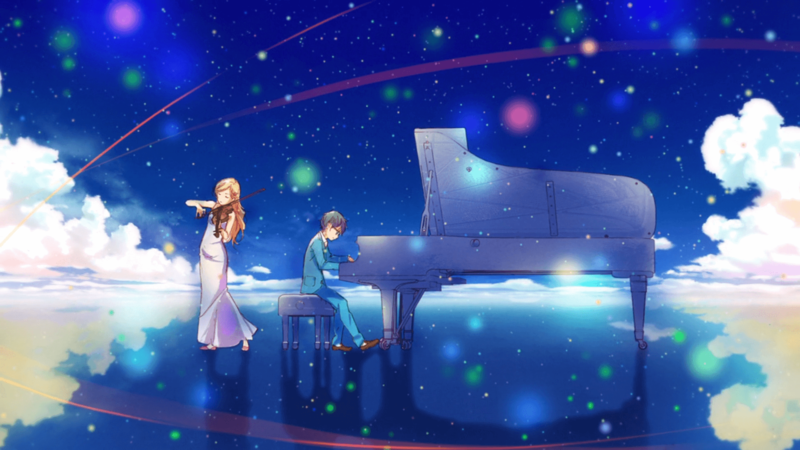 Your Lie in April successfully portrays how individuals can inspire each other to become the best versions of themselves in the simplest of ways. Able to achieve an incredible sense of thematic symmetry, emphasized with the use of stunning music and cinematography, I found Your Lie in April’s ability to call back to earlier moments in subtle yet purposeful ways quite satisfying. The influence of music is ever-present over the course of the show, and it serves as a window into the personalities of each character. Kaori’s lively performance of the Kreutzer Sonata by Beethoven beautifully displays her spirited personality, while Emi’s performance of Chopin’s Étude Op. 25, No. 11 “Winter Wind” accentuates her uneasiness and discontent. 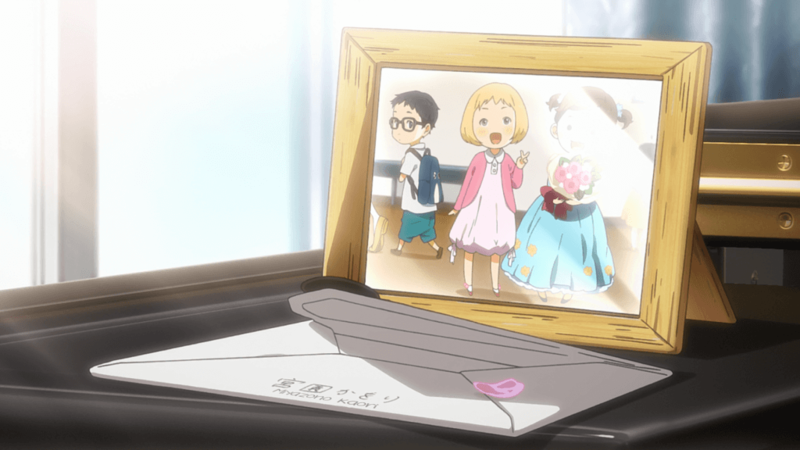 And while the series does not shy away from directly stating a character’s thoughts, I found that the musical performances added another layer of emotion which allowed me to connect in a more satisfying sense with each character. The impact of death, both on those dying and those left behind, plays a significant role in the overarching story. Your Lie in April’s portrayal of death itself is especially subtle, illustrating its point in a way that is poignant without unnecessarily exaggerating death itself, allowing for an emotional take on a complex issue, which I found to be superbly handled. I imagine many viewers will find Kousei’s development as an individual instantly relatable. His growth from a tentative and wistful boy to an assured and hopeful musician is truly empowering. Kousei’s way of dealing with the relationships of both his dead mother and Kaori were quite moving, and at times, immensely relatable. Unsurprisingly, Your Lie in April exceeds magnificently in its sound design. Many of the series’ most notable on-screen events are perfectly complemented by an original soundtrack that features a wide variety of memorable compositions. The performances showcased in Your Lie in April offer some of the most emotionally satisfying moments in the show. When the characters perform their music, they not only contribute to the plot, but they also give the audience an insight into who they truly are. Their love for each other and the music is evident, making the experience all the more rewarding for them and the viewers. The classical pieces by famous composers such as Beethoven, Chopin, and Tchaikovsky are wonderfully directed. And while I don’t have a background in classical music, the show’s explanations were quite helpful in explaining the musical nuances to those unfamiliar with the classical compositions. Throughout the series, Your Lie in April attempts to intersperse comedy between the moments of emotional intensity. And while these scenes do allow the audience to catch their breath, they occasionally miss the mark. The sudden shifts in tone can be quite jarring at times. While I personally still found them funny, I can understand why some viewers may be put off by them. Color plays a meaningful role in Your Lie in April. At the start of the series, Kousei’s world is made up of nothing but muted colors. But the instant he meets Kaori, all that changes. The color palate becomes especially lively – most notably when Kaori is on screen. It is a beautiful representation of how love affects our view of the world. When you are in love, everything just seems brighter. Your Lie in April succeeds brilliantly in creating an emotionally resonant and heartfelt story. Combining the perfect amount of thematic substance and offbeat style, its audience is left to contemplate the range of emotions conveyed throughout the series. 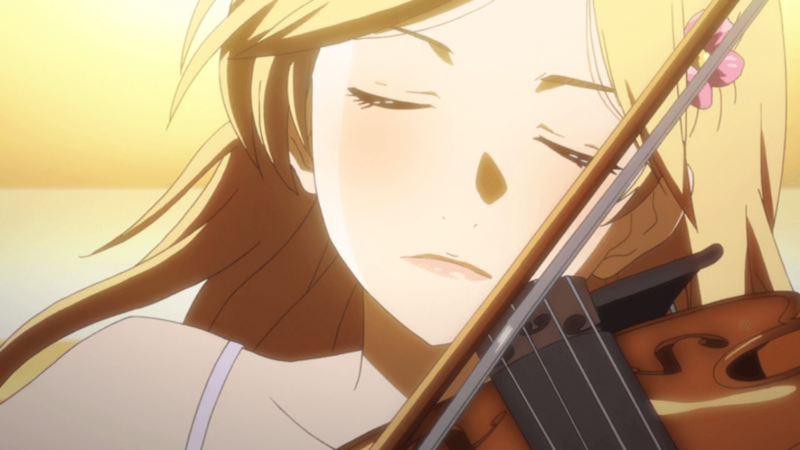 Your Lie in April has a lot to share with its audience; how it is to deal with the loss of a loved one, letting go, accepting help, finding oneself, and of course, the inspirational impact of music and love. And while I can understand that the emotional themes and dramatics present throughout the series may not appeal to everyone, there is no doubt that Your Lie in April will be remembered as an example of what can be created when combining both a visually and aurally stunning show with a story about the importance of love and loss. Your Lie in April is adapted from the manga by Maoshi Arakawa. It is directed by Kyohei Ishiguro, produced by A-1, and licensed by Aniplex of America.